Greyface Dartmoor, also known as the Dartmoor or Improved Dartmoor, sheep are descended from local breeds, which grazed the low ground in and around Dartmoor. They have immense strength of constitution developed through withstanding the severe winters and exposed conditions, which exist around the Moor. Improvements were carried out during the 19th century using the local Longwools (Notts) and the Leicester. 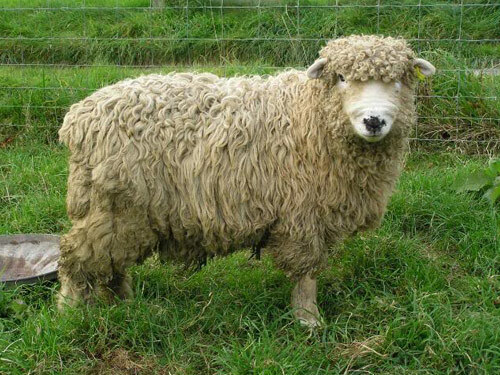 Dartmoor fleece is classified as Lustre Longwool. They are a medium sized sheep (approx. 60 kg/132 lbs), hornless, deep bodied, short legged, with well woolled head and legs. The white face should be mottled or spotted with black or grey with matching feet.